Completed my RLRF long run for today a little faster and longer than scheduled. I was pretty much beat after this run. My legs were tired the entire day. 5 Seconds per mile faster and 3 BPM less than my previous RLRF training run. 2.5 Miles longer than scheduled. Going to see the Spurs play tonight :-) It should be an exciting game. I expect the Spurs to really jump on the Thunder tonight..!!! Today was the 3rd Interval training on the RLRF program. The weather is getting more and more brutal. It was 77 degrees when I started at 6:00 am with 65% humidity (the humidity seemed higher, it was very overcast). This workout was hard and I wanted to stop after my first Inverval but I thought of Rye running the same thing so I just pushed through it. If it weren't for the effort in breathing I would really like these intervals. It just hurts to breath when I get going this hard. I need a way to expand my lungs! My legs don't have a problem with this type workout. I compared my results with the identical workout last November (BTW, the temperature then was 72 degrees. I think it's always hot here in Texas). My accumulative time was 9 seconds faster and my HR was 3 BPM less. Repeats - 10-20 Min. Warm-up, Stretch, 1 x 1200 @ 4:33 (6:04 pace), 1 x 1000 @ 3:44 (5:58 pace) 1 x 800 @ 2:58 (5:56 pace), 1 x 600 @ 2:13 (5:54), 1 x 400 @ 1:27 (5:48 pace), 200m Recovery between each, 10 Min. Cool-down. It was HOT. My recoveries were all walking. I kicked a dog today! While running my 4th mile today, a mid-sized dog ran out and tried to bite me. I took a full running kick at him and he landed about 10 feet away...yapping I might add! The only problem is that it hurt my hip a little. Stupid dog! 3rd week on the RLRF program and I think I'm making good progress. All my training times are slightly better than the last training session and my HR is running slightly lower even though the weather is much hotter than before. I'm excited that Rye is keeping up with the training. He's actually doing better than me because I've really not cross-trained properly. This will probably catch up with me if I don't get going with it soon. Last run was 7:10 @ 164 HR and much cooler weather. Above 167 I'm actually running in V02 Max range. Here's the full report. This was a huge improvement over my 3rd week 17 mile run, on my last (Cowtown) training session. I have a 20 second per mile improvement along with a 9 bpm HR improvement with the temperature 23 degrees hotter (it was 42 degrees during the Cowtown training run). Ran 1 extra mile. This was a much better run than last time, 20 second per mile improvement and HR of 9 bpm improvement. The weather was 42 degrees on the last run too. 22 Miles on the road bike today. Hot (100+ degrees) and windy! Another track day on the RLRF program. I think I was too excited to start out with and ran my warm-up and my first 1000 too fast. I throttled back on the other three to bring them into the training range. I was pretty beat at the end so I took my cool-down pretty slow. My legs were still tired from my bike ride yesterday. I also forgot my HR monitor so I have no idea what my HR was on these repeats. My legs were a little tired after the 22 mile bike ride yesterday evening. Recoveries were walk/jog. I was pretty tired as evident in my slow cool-down run. 22 If you listen carefully to what he says and do A)">all that I say, I will be an enemy B)">to your enemies and will oppose those who oppose you. Tempo Run today. My goal was to run the exact same route I ran on my previous RLRF training for Cowtown and compare the results. The weather was much cooler then (40 degrees) compared to 72 today. My Cowtown run was 4 Miles @ 6:51 - HR 159. I think I can determine there is improvement even though my HR is up slightly on this run. I'm sure the heat and humidity took a little out of me today too. Mile Time HR HR % Elev. I was trying to run beat my previous run. I really wish I could keep my HR under 155 on a run like this. Last week I kept it below 155 for 13 miles while averaging an 8:00 pace. This week I was more like 8:20 and my HR jumped to 160 at mile 11. Above 155 I'm in the Threshold Zone. Notes: I felt really good on this run until mile 13. I think I just got overheated. Another great day at the track. Lots of fun! The last two Mondays there has been this kid at the track working out. I spoke to him and found out he is a 10th grader. He has a guy (probably in his 20's) coaching him. It's so sad to see this young man struggle, he probably weights 300 pounds and is 125 pounds overweight. How have we gotten so out of shape as a society. It's just sad to see people like this. This poor kid was struggling to run at a pace that I could walk. Recoveries were 2 min. and cool-down was much slower than last time. Where do I start? I was supposed to run a Tempo Run today and my Long Run on Saturday. 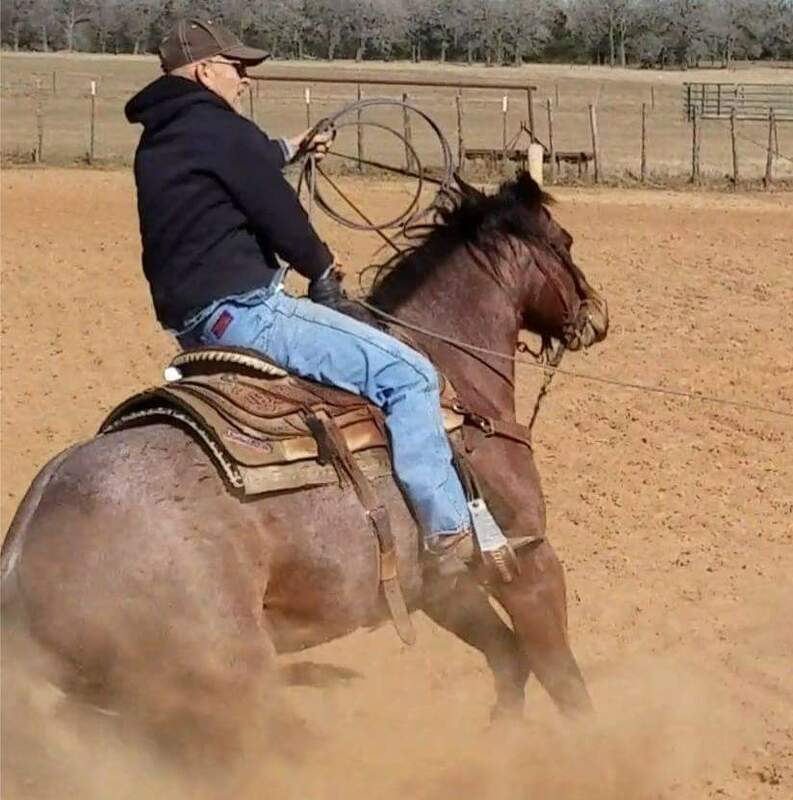 I am heading to a Team Roping competition tomorrow and will be competing on Saturday morning so a long run that day is not an option. I got the bright idea to run my Long Run today and then squeeze in my Tempo Run on Friday while I'm on the road to the event. Maybe this was a bad idea...? or maybe it's just more of the same old thing I've been struggling with all along, I don't really know. The first few miles seemed great, my HR seemed good and my times were where I thought they should be but about mile 12-13 I felt like I was getting really hot. By this time my shoes were full of sweat to the point I was slinging water out of them every stride. Finally at mile 15 I decided this was not worth the effort and I stopped, rested and tried to cool down. Sweat was pouring off of me like I was a soaker hose. From that point on in I ran and walked and tried to cool down. My muscles got tight during this time making the last four miles misrable. Not a very sucessful run but I got it in the books. I am going to try and go and find some different shoes that don't have as much padding as this holds all the sweat (do you know how much a soaked pair of Saucony Ride 4's and socks weigh?...a lot!). I also need to figure out my fueling better too. I drank 112 oz of fluid before and immediatly after the run and still lost 6 lbs. Started getting overheated at about mile 12-13. Miles 15-18 I had to take a few breaks and ran slow. On the road and using my Pad so entries are a little harder. I seemed to recover from the hot/humid 20 miler on wednesday pretty well. I flipped my long run and my tempo this week because of the travel. Tempo Run - 2 Warm-Up, 3 Miles @ 6:45 pace, 1 Miles Cool-Down. This was a good Tempo Run. 1-1/2 mile out is mostly uphill so the return is mostly downhill (about 125' elevation change). The weather was a little cooler, 72 degrees when I started. Hope you all have a good weekend. I'm off to the roping tomorrow. Finally a "real" cross-training day. The only problem is it was 103 degrees when I started. Aslo, I don't like cross-training in the evening before a RLRF run because I don't seem to recover in that short (usually 12 hours). I could tell that my legs weren't used to biking as they seemed to fatigue fairly quickly. Hopefully I can get back into biking a couple of days a week! Rode to feed horses on 1339. Took 1979 back home. Week 6 on the RLRF program and all seems pretty well except for the heat. Even during these Intervals I feel like I get overheated and am just pouring with sweat! I went and bought me some new shoes yesterday (Saucony ?? ?, I forget the name, I'll add later). I was trying to find some shoes with very little upper padding. My thinking is to get some shoes that won't hold as much sweat. My Saucony Ride 4's have a lot of padding and when they get soaked they are very heavy (this usually happens after about 45 minutes of running). I ran in the new shoes today, I think they are going to be a little better than the Rides. Repeats - 10-20 Min. Warm-up, 2 x 1200 @ 4:33 (6:04 pace), 4 x 800 @ 2:58 (5:56 pace), 2 Min. Recovery between each, 10 Min. Cool-down. Recoveries were still a little long (3 min.). I was really sweating. I wore my new shoes without socks until the second 800 when a blister started to form. And we know that in all things God works for the good of those whoe love him, who have been called according to his purpose. My legs have been feeling really good so I decided to just throw in a few short miles on my "off" days (in the morning), since I can't seem to find the time to ride my bike in the afternoons. I think the heat and humidity is getting the best of me. I thought I felt really good for the warm-up and the first mile but then it hit me and I started feeling really drained. I ran most of this run at 90% of my HR which is in my Vo2 max. I may have to start running my Tempo and Long Runs based on HR training zones and not based on time because of this heat. I ran this same run with the same HR effort 15 seconds per mile faster when the temperature was 62 degrees. The effort by HR was exactly the same as last time but the time was 15 sec. avg slower. Found out I might drown on Sunday in the Triathlon!